Rieker bring us B8751-14 ADVANTAGE. 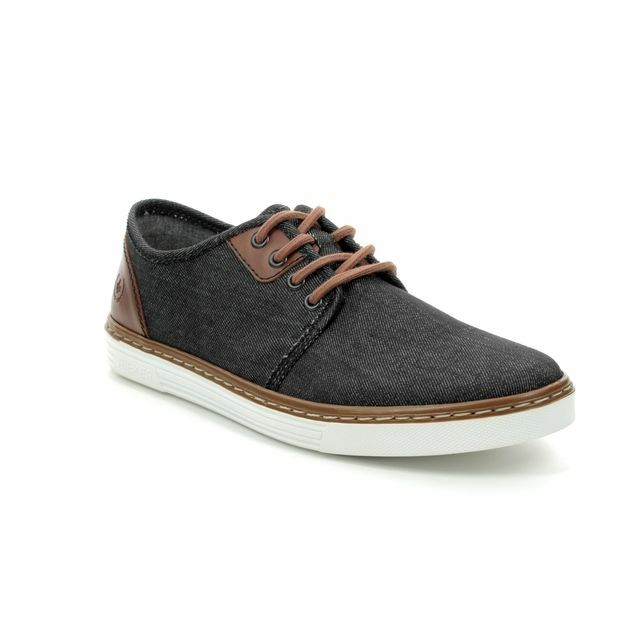 These men's trainers are a real wardrobe essential come summer. 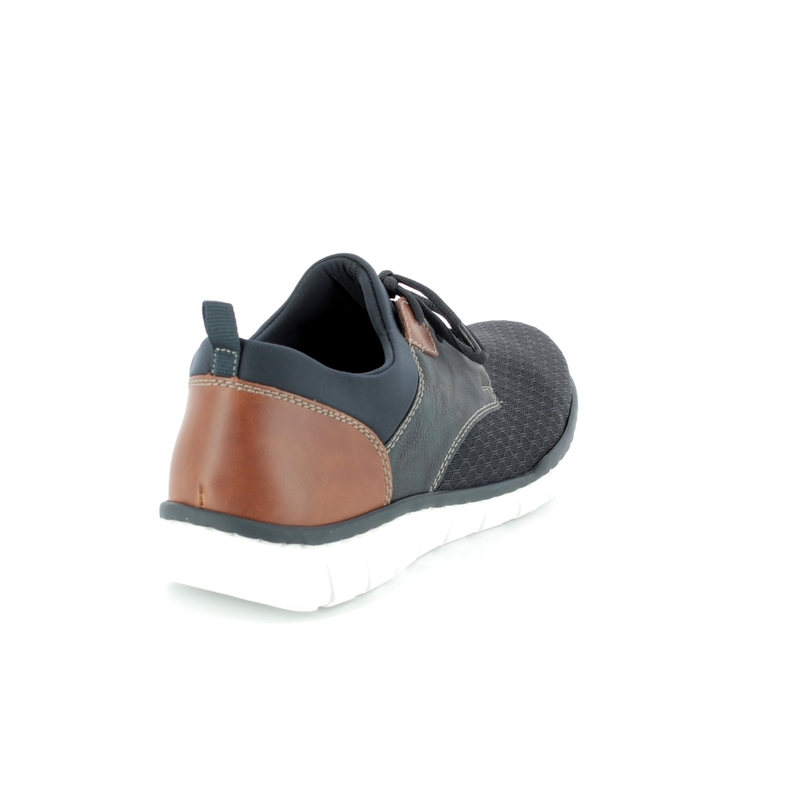 The navy upper features tan panelling while the contrast of the crisp white sole units elevates these men's trainers. 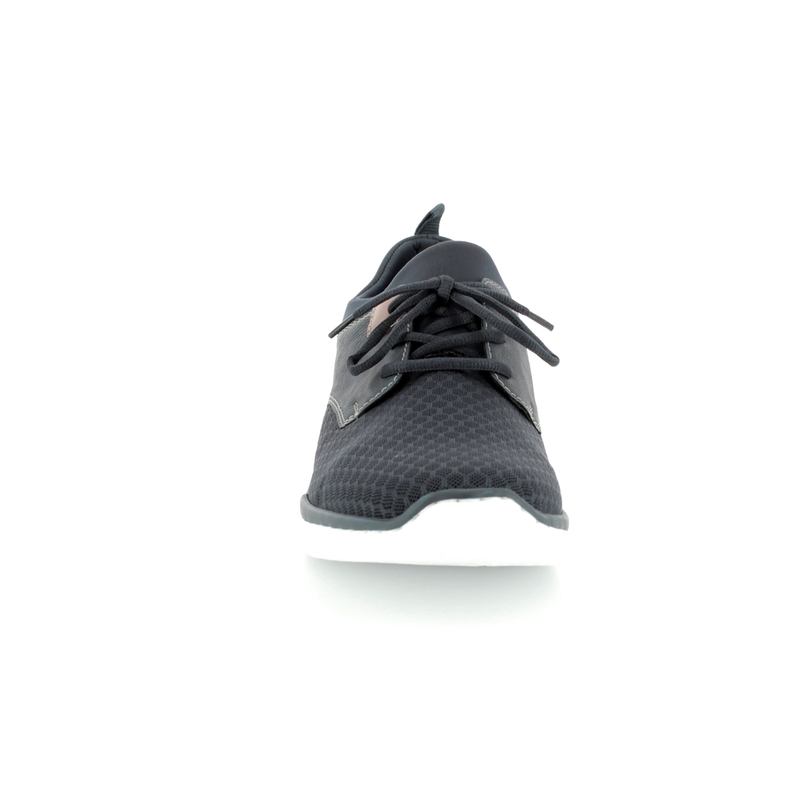 Rieker have used a mesh fabric over the vamp of these shoes, contrasting the more rugged materials around the heel. 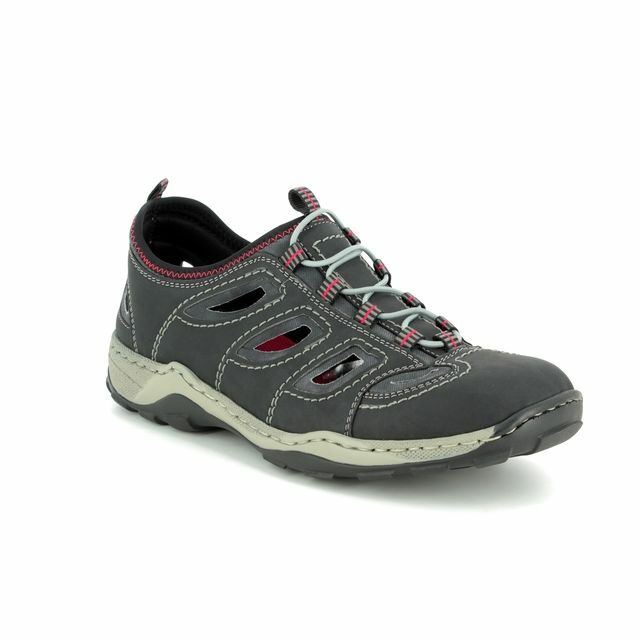 Lace fastenings have been used on these men's shoes for a secure and adjustable fit. 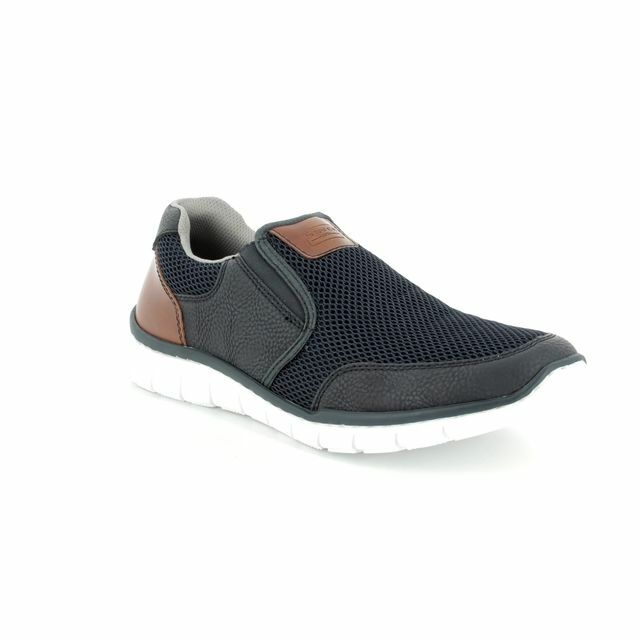 Rieker have also used their ANTISTRESS technology, the shock absorbent and flexible sole units work with the cushioned insole for comfort like nothing else. 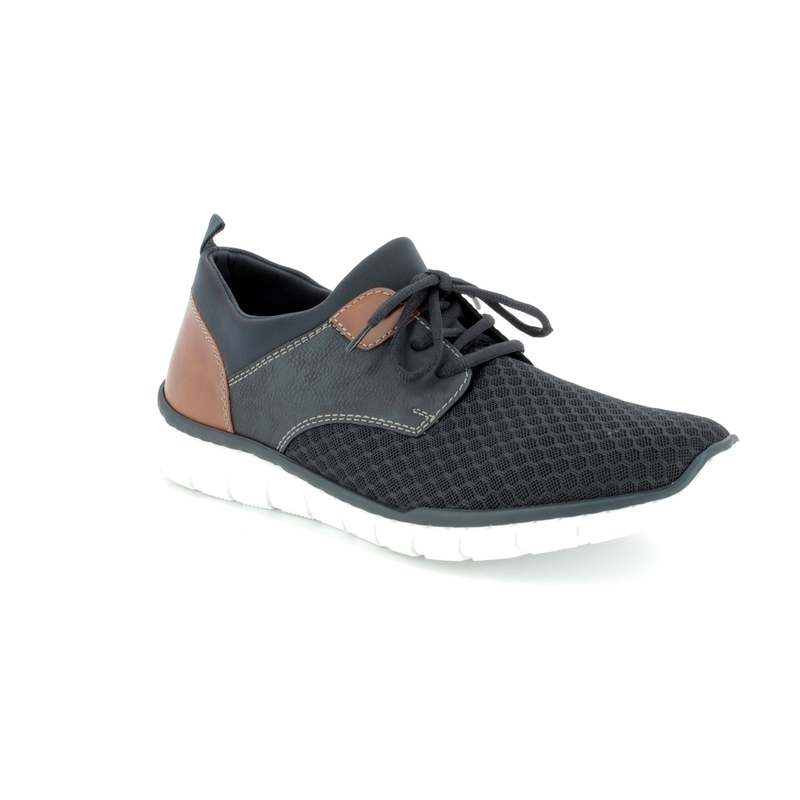 Pair these men's trainers with jeans or chinos for relaxed sports inspired style. 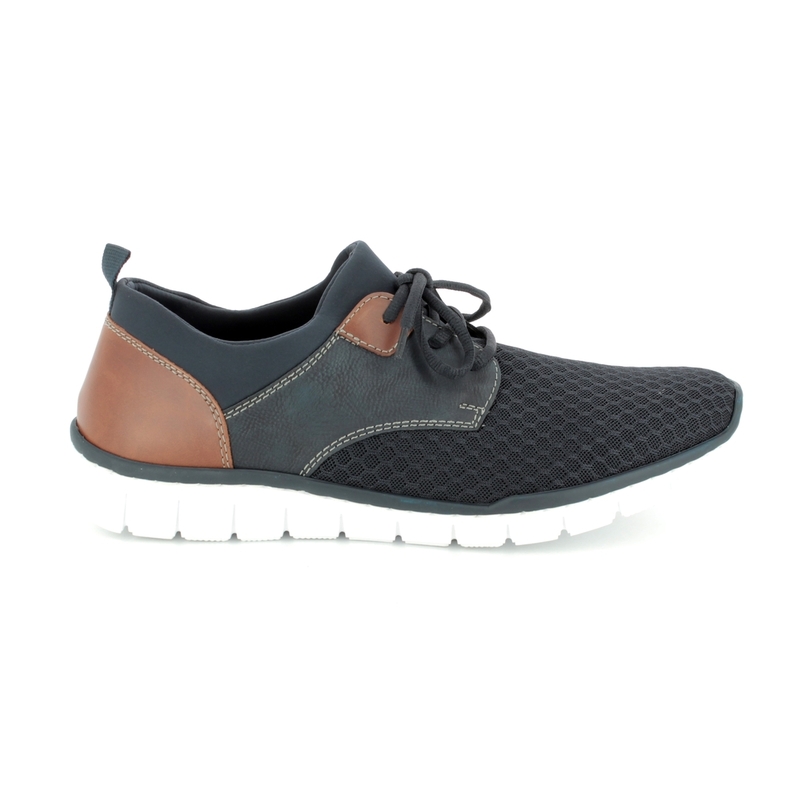 Buy your Rieker men's trainers from Begg Shoes, an official Rieker stockist.